Buying a new Toyota is very exciting but since it’s a major investment, it’s not something that you want to rush into. It can be tempting to head straight out to the dealership and pick out something that looks good at the time but proper research can help to ensure you’re happy with your decision for many years. It would be very disheartening to choose a Toyota only to find out later that a different model or style would have suited your needs better. Jumping right in and buying a Toyota without researching your options can also lead to going over your budget. You may opt for the more expensive model or for extra features that you don’t really need just because they sound good at the time, without considering how much of a strain it might put on your budget. To avoid this, set a budget and then research the different models and styles before heading to the dealership. When shopping for a new Toyota, it’s important to stay focused on your needs. How do you plan to use the vehicle? Are you shopping for a family car or a personal vehicle? How far and often do you drive? Answering these questions will help you determine your needs so you can find the right vehicle. Without thinking things through, you may buy on impulse and regret your decision later. For example, you might be tempted to buy that Toyota truck that you fell in love with the second you saw it but if you’re shopping for a family vehicle, it’s definitely not the right choice. Even if you’re buying for just yourself, you still need to determine what features suit your needs the most. Do you want special features such as a rear-view camera, parking sensors or a GPS system? Staying focused on your needs will help you make the right choice. With so many options available, sometimes it can be difficult deciding which Toyota is best suited for your needs. Some vehicles have similar features making it hard to decide and sometimes you may find the vehicle you want but it may not have the special features you’re looking for so you pass it by. In this case, you may be able to add these features but you might not know that without talking to the Toyota dealer. Sit down and discuss what you’re looking for in a vehicle and how you plan to use it so the dealer can help you find the perfect Toyota for your needs. When buying a new vehicle, it’s easy to get caught up in the hype and to make quick decisions but it’s always best to take your time and think things through. This way, you’ll still be happy with your purchase for many years to come. Think about what you plan to use the vehicle for and talk to the dealer about your different options and the special packages they offer. 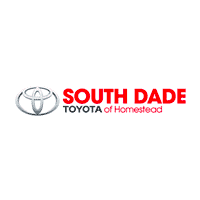 Following these tips will help ensure that you choose the right Toyota for your needs.